Call Flue Steam for thorough, professional exhaust duct cleaning in Pasadena CA. 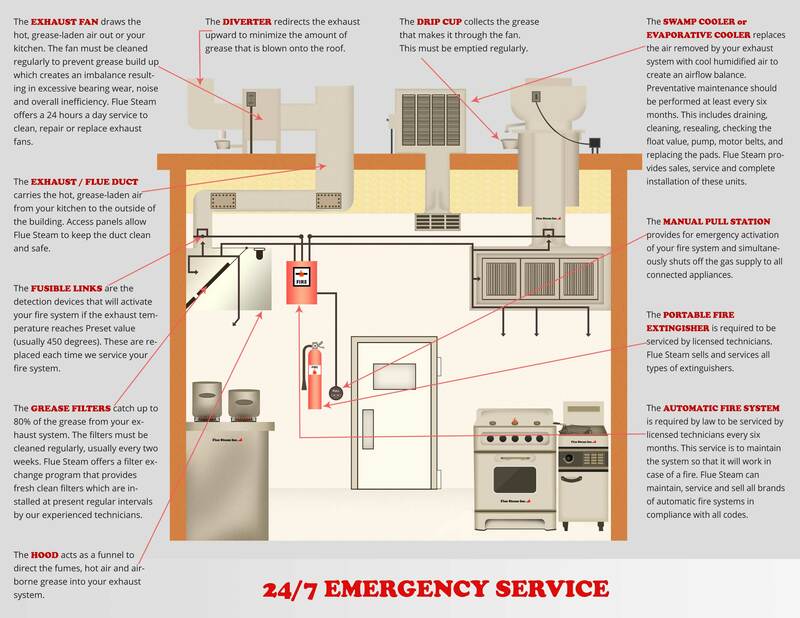 Is your commercial kitchen hot, smoky, and smelly? The problem could very well be an excessive buildup of grease in your exhaust system. This situation is not only unpleasant; it can be downright dangerous should the grease ever ignite. To eliminate fire hazards, ensure code compliance, and restore your peace of mind, call Flue Steam. 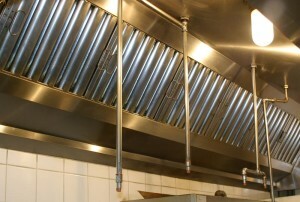 We can provide the professional exhaust duct cleaning in Pasadena CA you need to keep your kitchen safe. We have a 40-year history of excellence in this industry, and you can be confident that our professional, certified exhaust duct cleaning technicians will keep your ducts up to our high standards of cleanliness. Our technicians are trained in two different methods for exhaust duct cleaning in Pasadena CA. Each method has its advantages and for best results a schedule involving both services should be created. Many companies that provide exhaust duct cleaning in Pasadena CA expect you to take their word for it when they say the ducts are dirty enough to require a cleaning as well as when they say the cleaning is complete. At Flue Steam, our technicians use a special tool to measure grease accumulation before and after cleaning, to prove to you that the cleaning was necessary for fire prevention reasons and effective in reducing grease down to a safe level. Taking these measurements also helps us adjust the frequency of your cleanings to ensure you don’t waste money on cleanings before they are actually needed for safety or code compliance. Are you ready to start trusting real pros with your exhaust duct cleaning in Pasadena CA? Just call or click now to contact us. We can schedule your service before or after your normal business hours for maximum convenience.